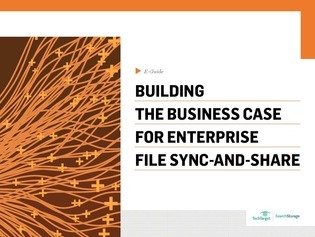 Enterprise file sync-and-sharing (EFSS) may appear to be a niche service that only addresses a small IT need—but that couldn't be further from the truth. With content development and collaboration happening across both traditional and mobile networks, the storage team needs a way to effectively monitor data transfer and access, and at the same time keep the inner workings of the technology transparent to users. Based on extensive market research, this guide uncovers the many purchase drivers nudging organizations in the direction of EFSS. Read on, as the expert content inside covers the sought-after features businesses are looking for in an EFSS product, the business problems EFSS can solve, the risks of going without EFSS (9 are detailed inside), and more.